John lives on the Solway coast of Dumfries and Galloway. Within a few miles either way it is possible to find a range of coastal habitats, from off shore islands to sea cliffs, maritime heath, rocky shores, sandy beaches, estuaries and saltmarsh. 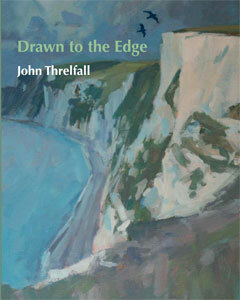 These locations where the land meets the ocean have formed the basis of John’s work for many years and Drawn to the Edge expands upon this compulsion, exploring key locations around the UK coast that provide some of the finest examples of these habitats and the rich diversity of life that depends upon them.